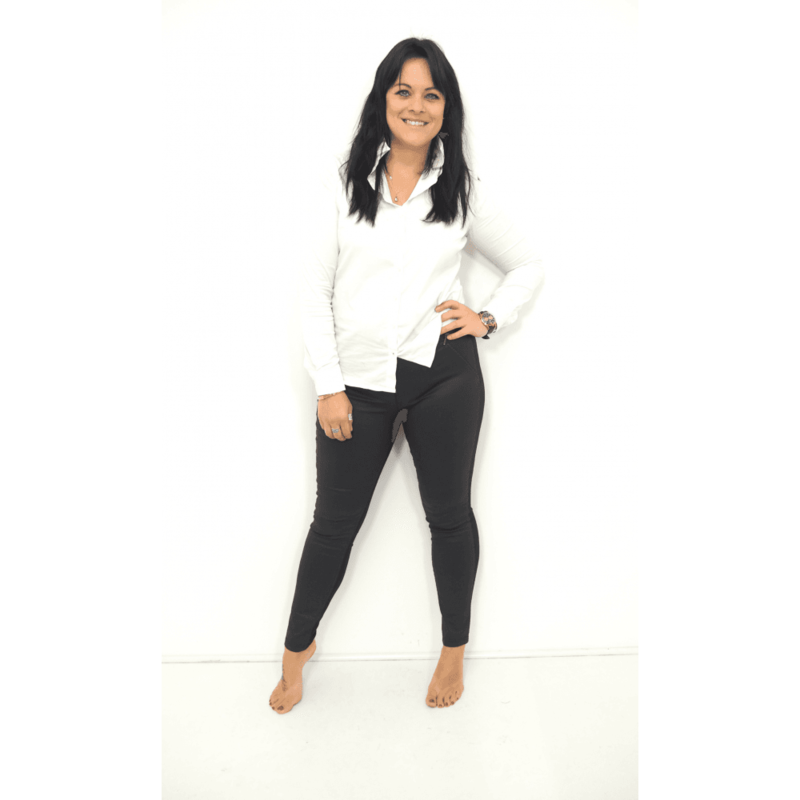 These beautiful trousers from Robell are slim fit and stylish. The elasticated waist which means that you can simply pull them on and feel comfortable. We love the leather effect used on the fabric at the front, which gives the trousers texture and edge. The reverse is plain denim, with a little added stretch for extra comfort. Sleek and chic, these trousers are perfect day or night.